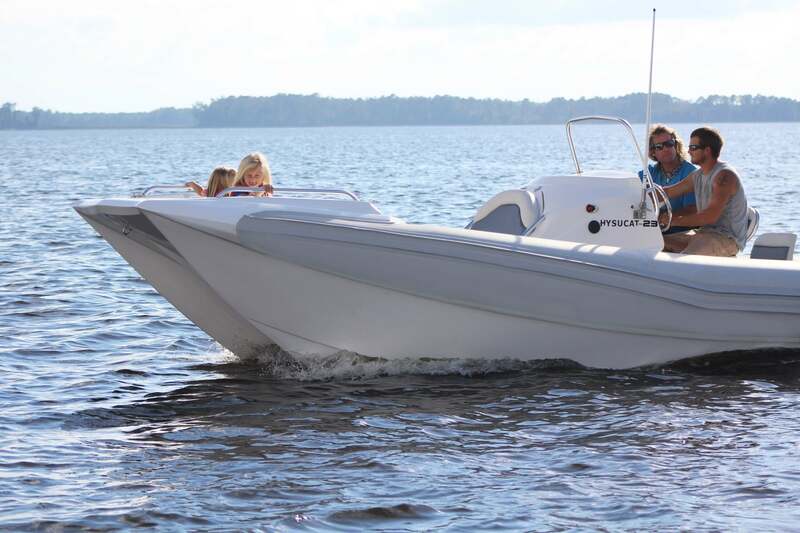 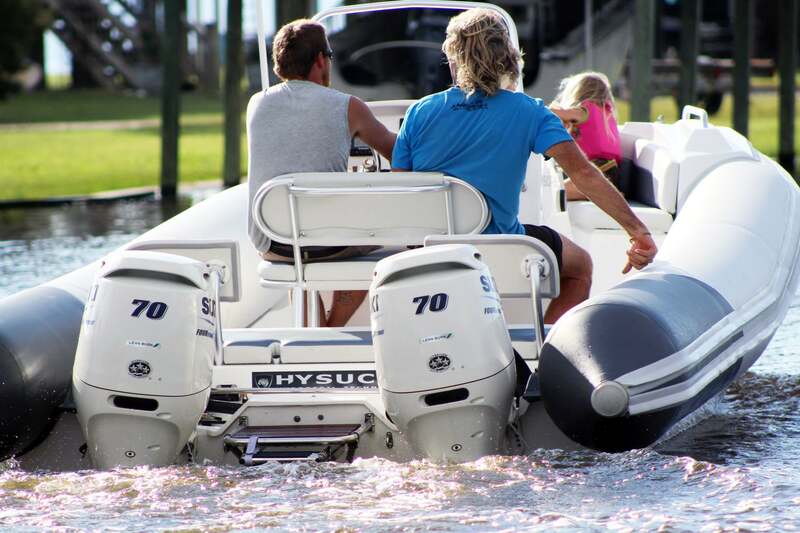 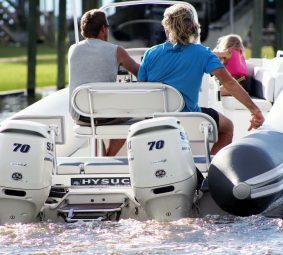 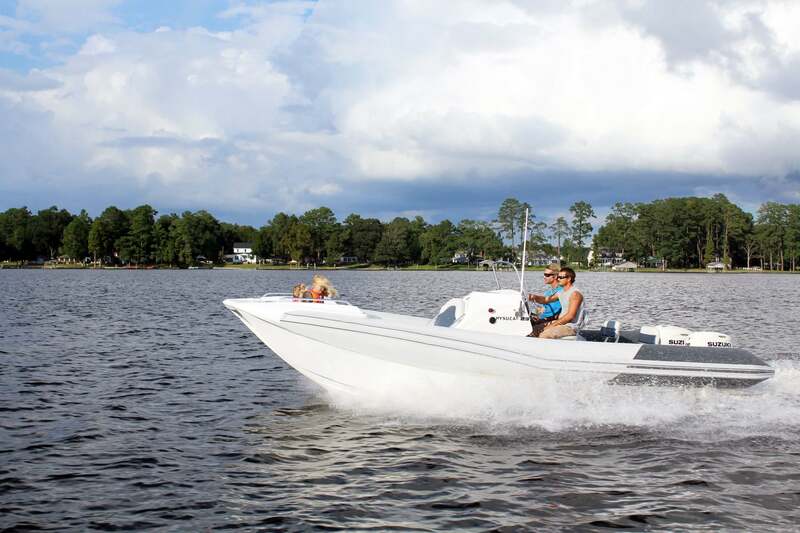 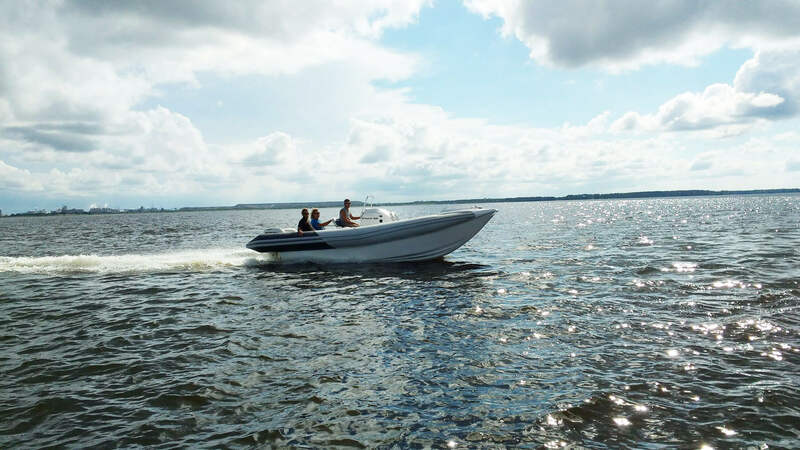 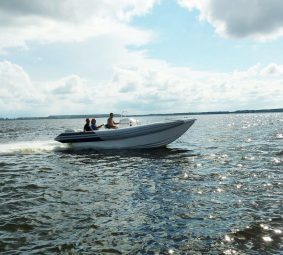 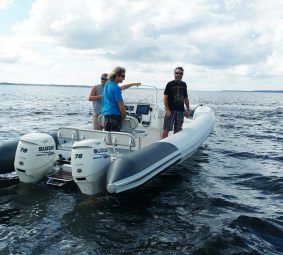 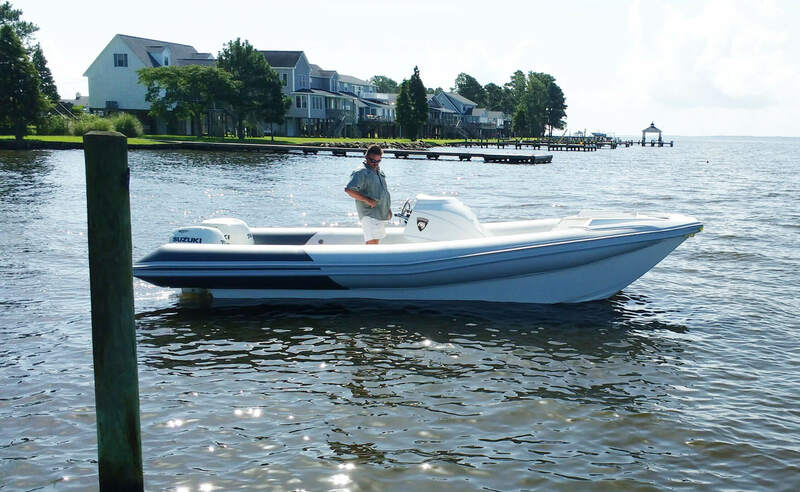 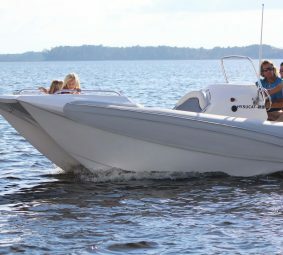 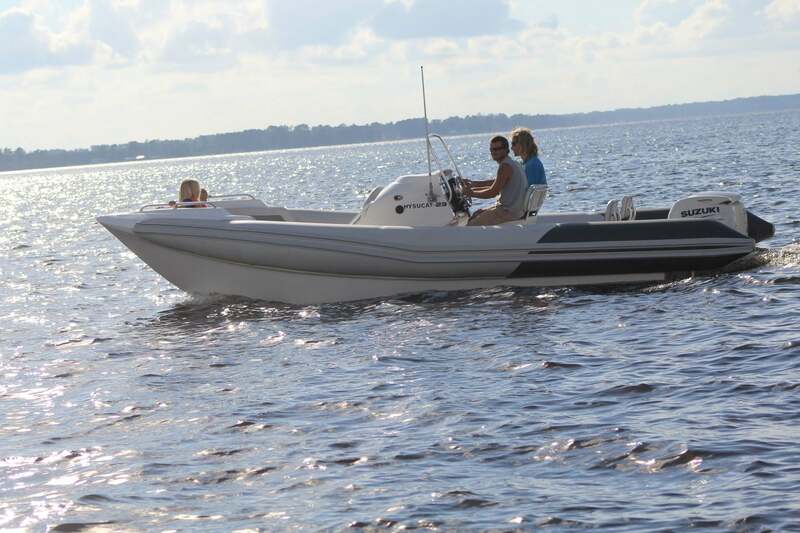 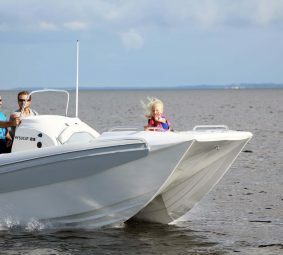 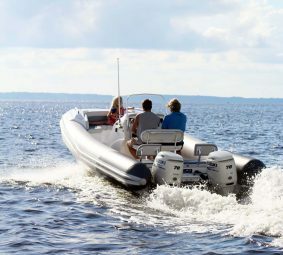 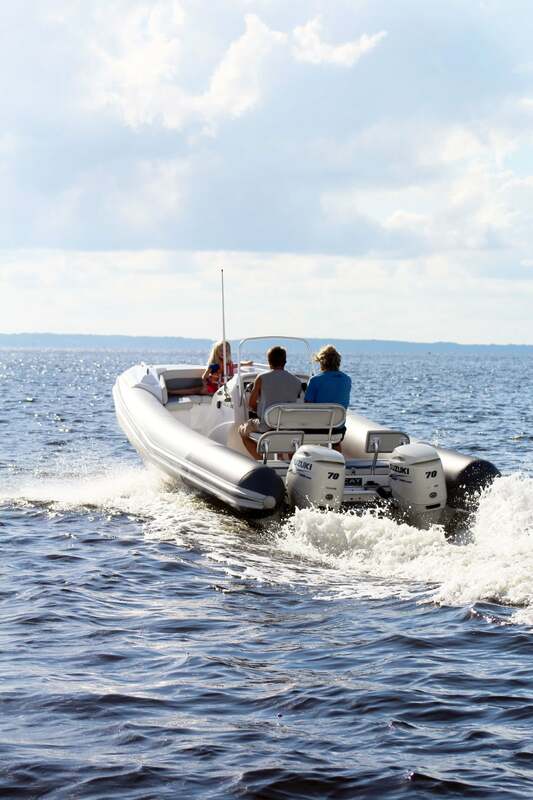 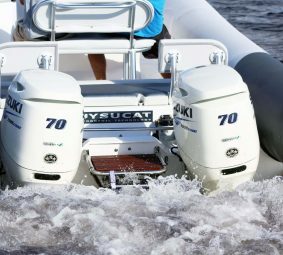 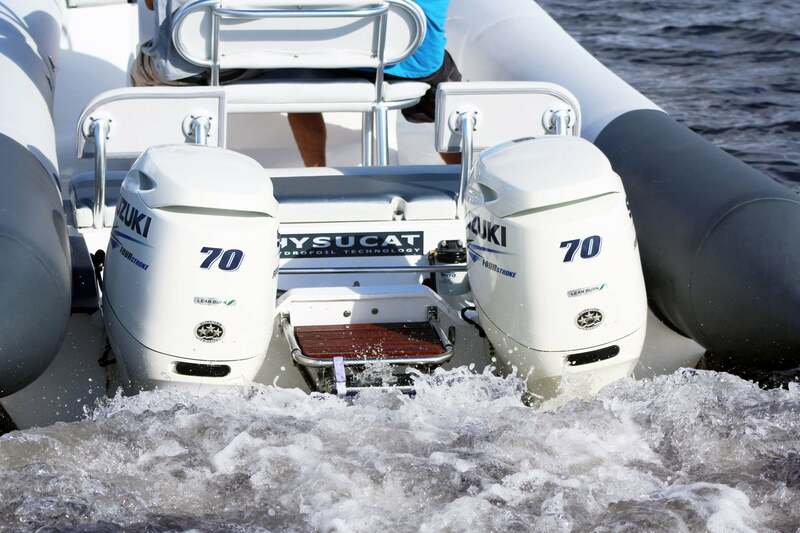 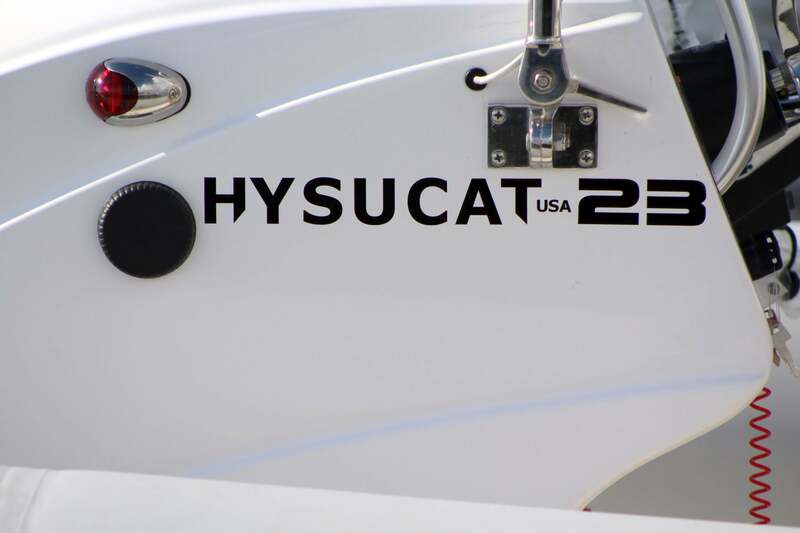 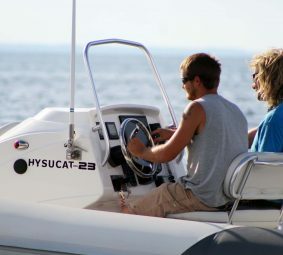 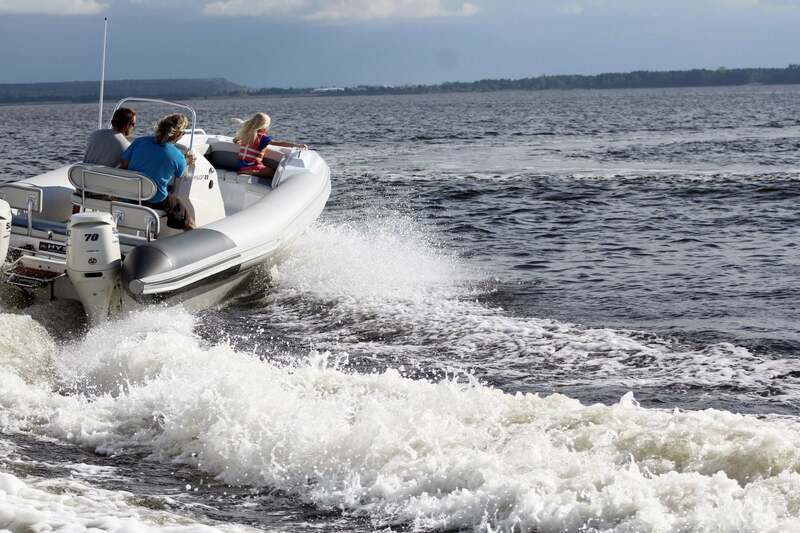 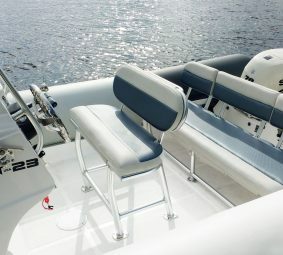 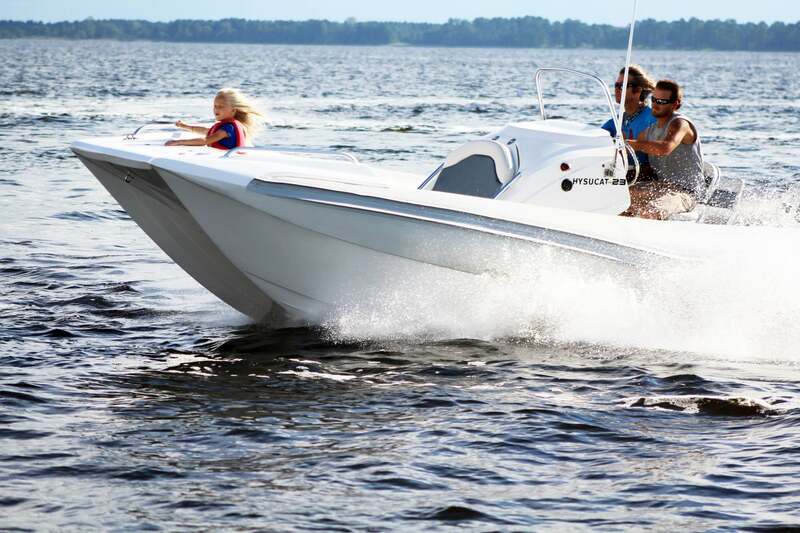 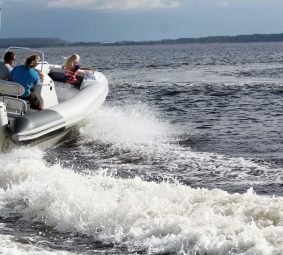 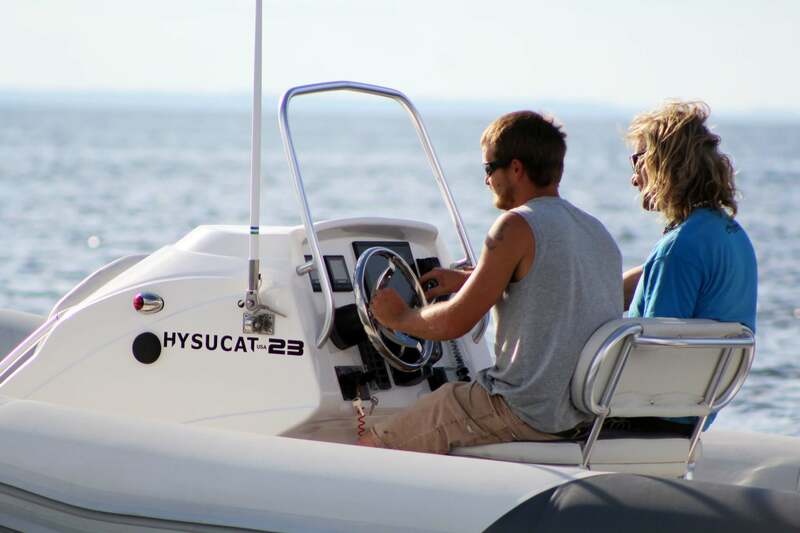 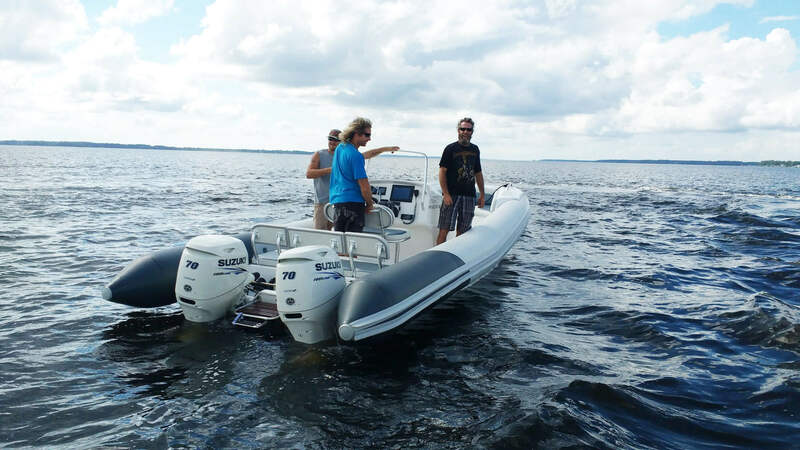 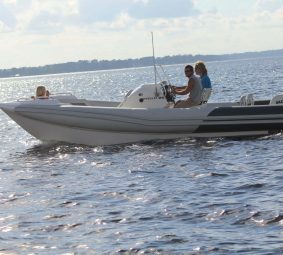 The brand new Hysucat 23 fast RIB offers the best features of a monohull and a catamaran combined yet made superior thanks to the innovative hydrofoil technology. 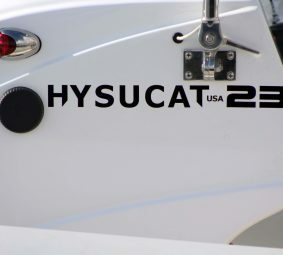 The asymmetric catamaran is capable of delivering higher speed with less horsepower, a soft, comfortable, stable ride in water or swells, and efficient, lessened fuel consumption. 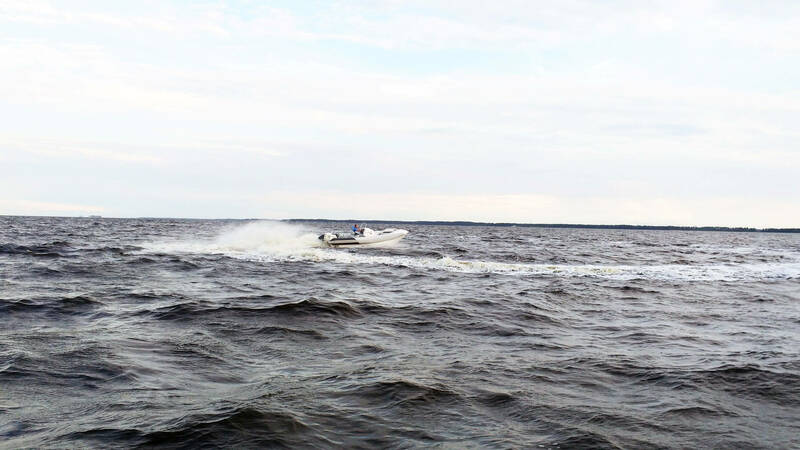 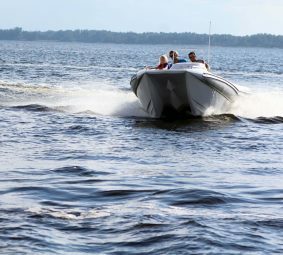 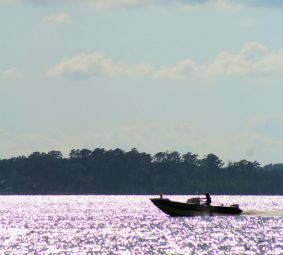 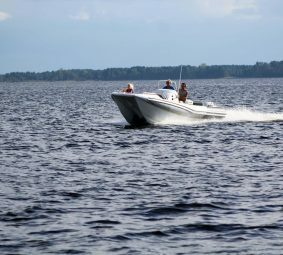 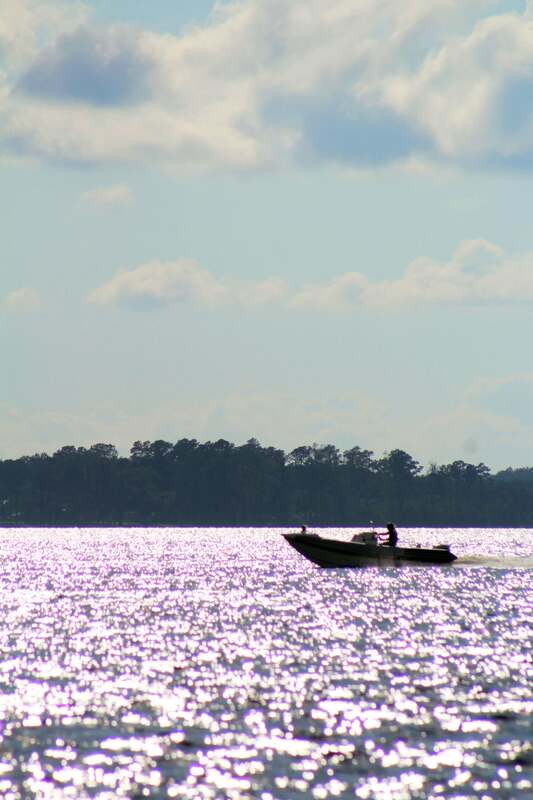 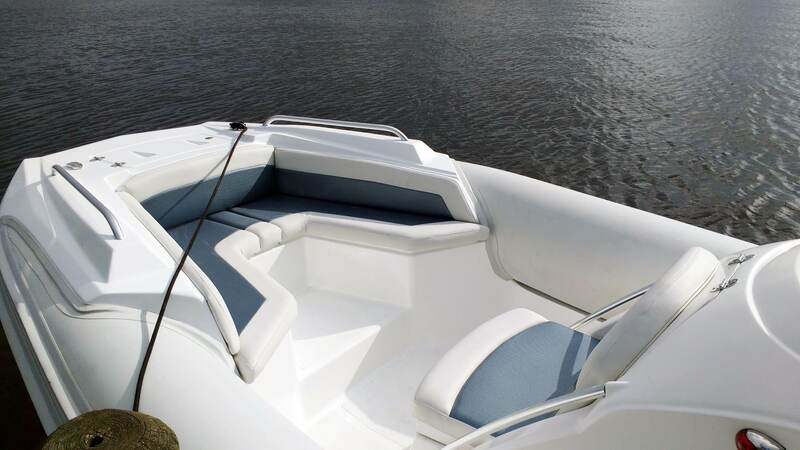 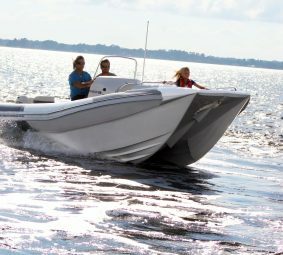 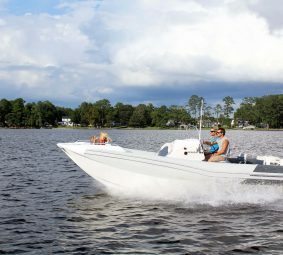 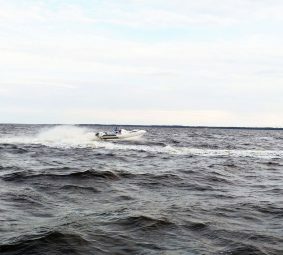 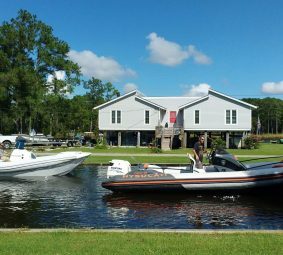 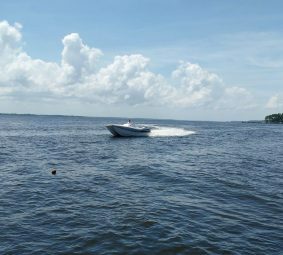 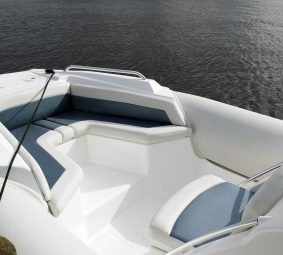 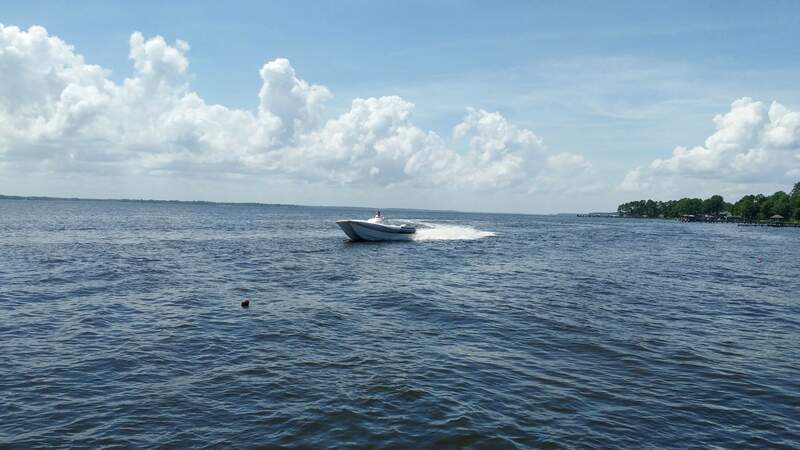 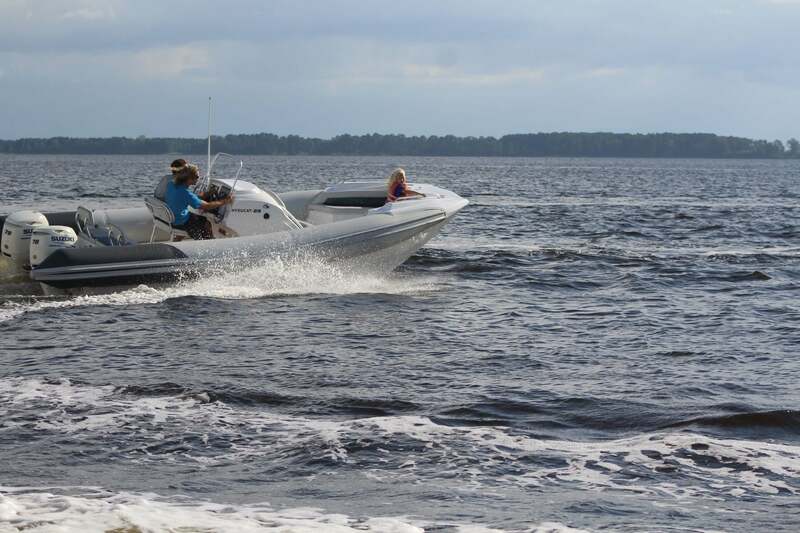 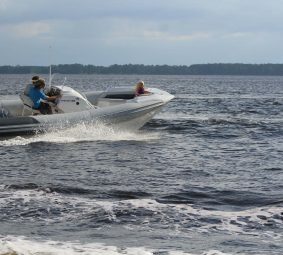 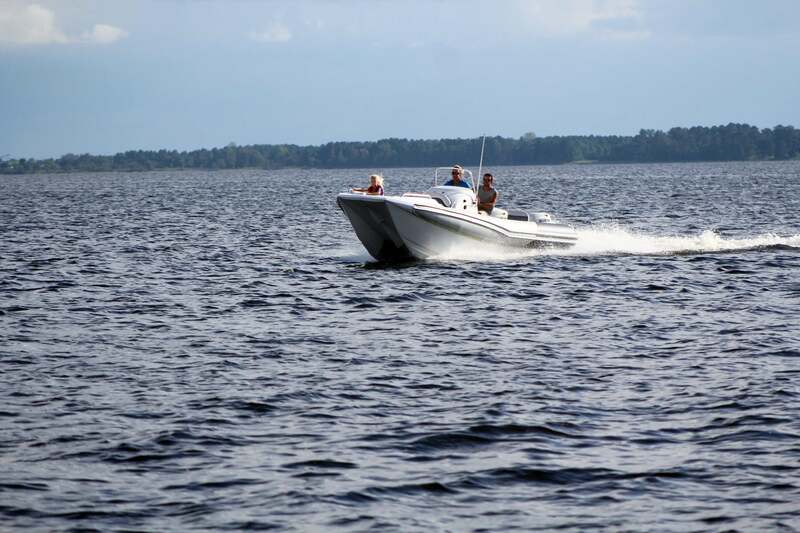 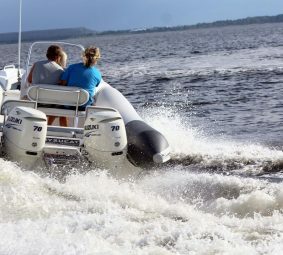 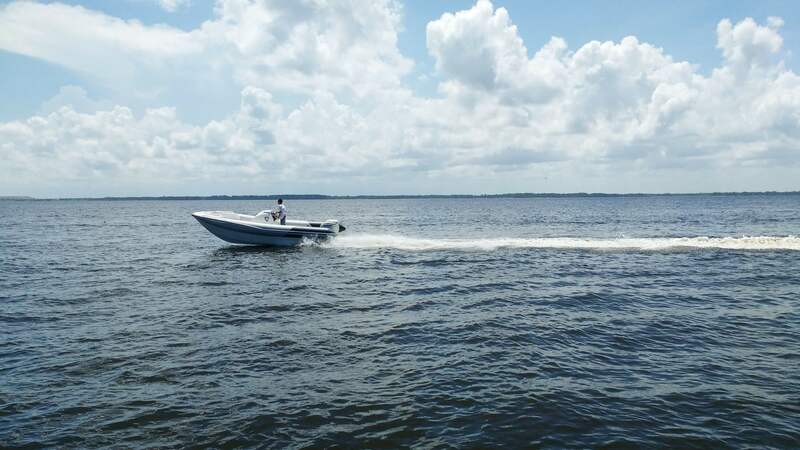 At high speed, the boat rises out of the water and runs mainly on the center hull. 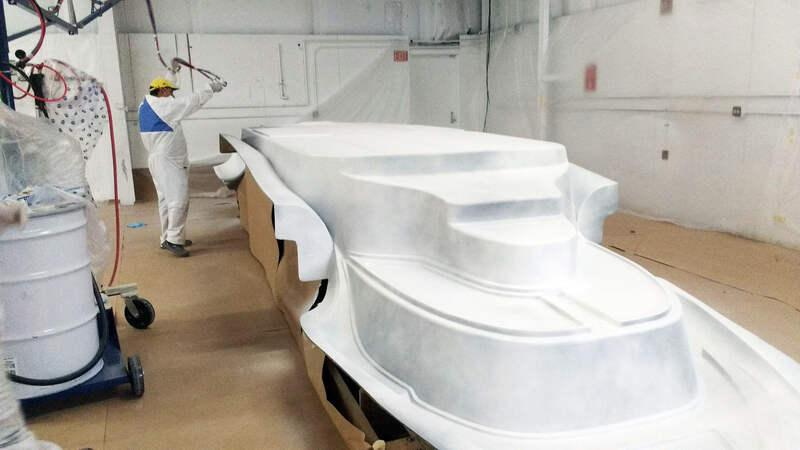 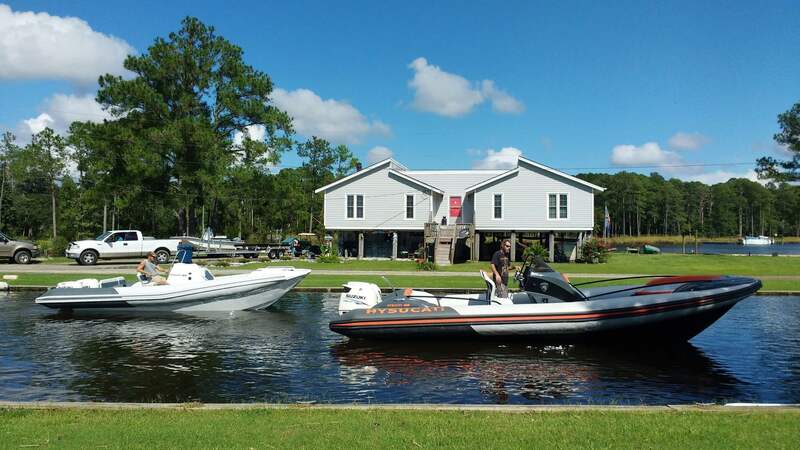 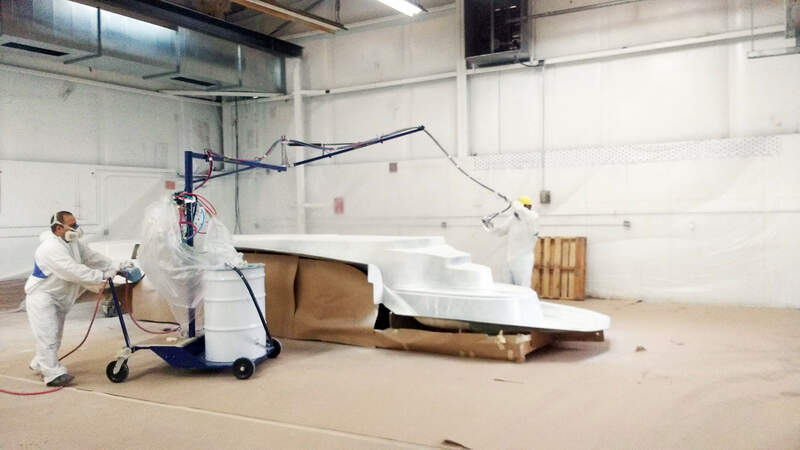 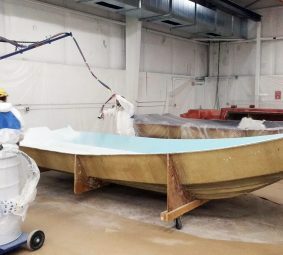 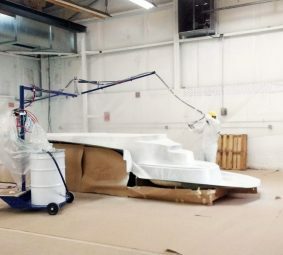 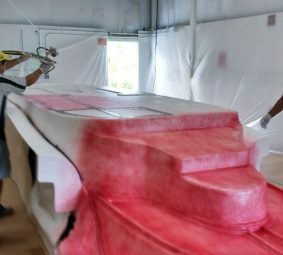 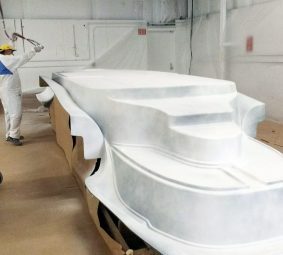 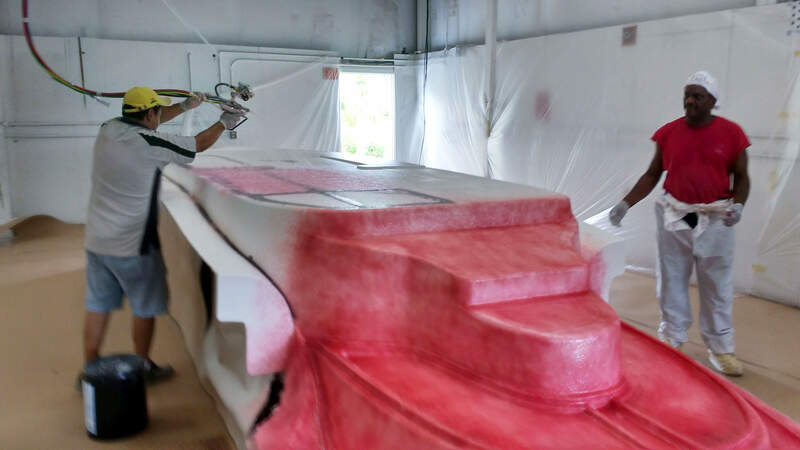 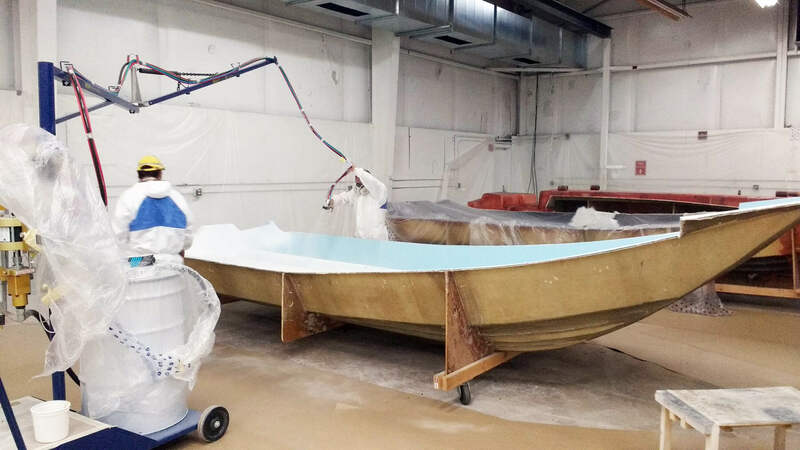 The site hulls stabilize the boat, reducing the wetted area on the hull, which in turn makes the craft more efficient, faster and allows the boat to run with smaller engines than an equivalent-sized monohull. 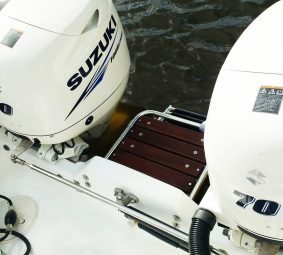 At planing speeds, a drop in resistance of up to 50 percent is possible, which equates to lower powering requirements. 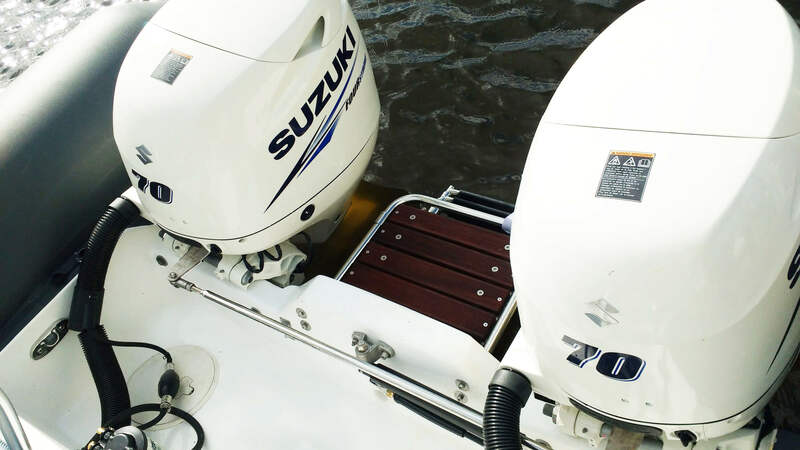 Lower power normally results in a 30 percent reduction in fuel consumption. 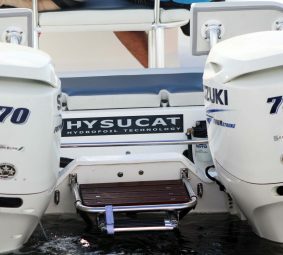 The effective hydrofoil system in the tunnel between both demi-hulls is the foundation of the Hysucat’s patented technology. 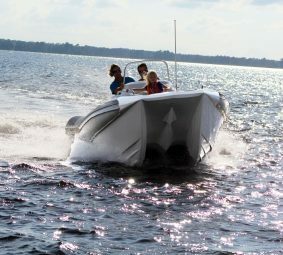 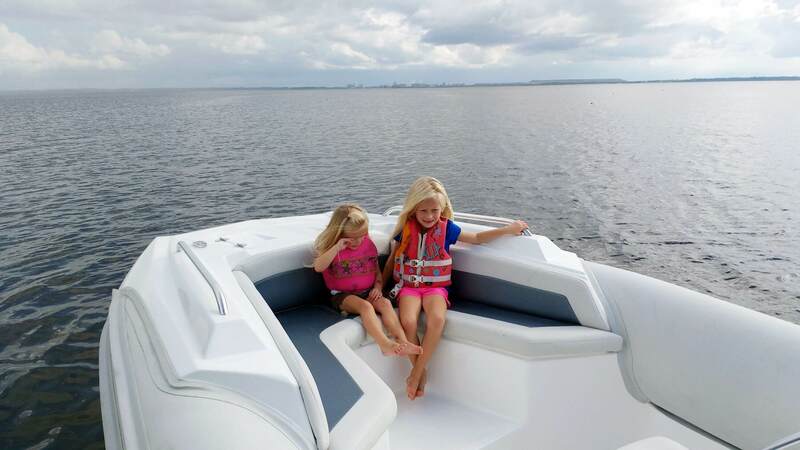 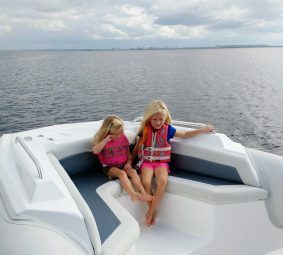 In short, in choppy seas the ride os extremely smooth, with the hydrofoils allowing the vessel to run on the crests. 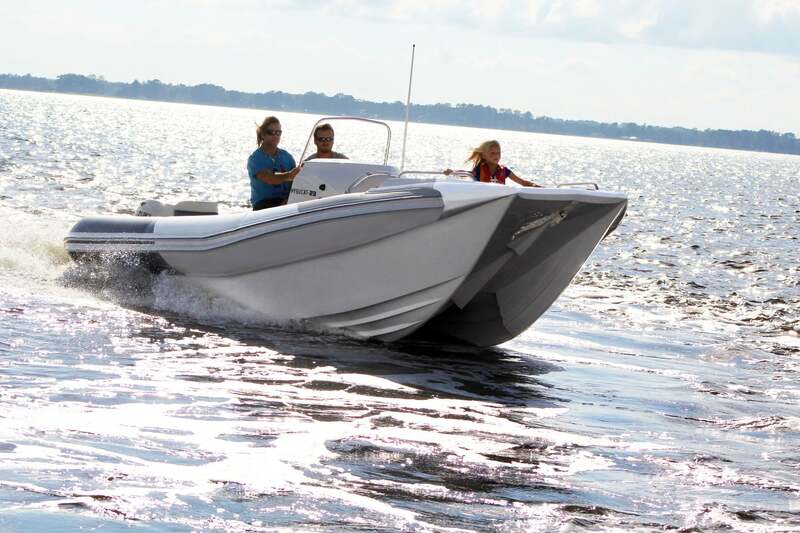 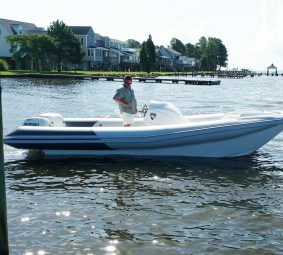 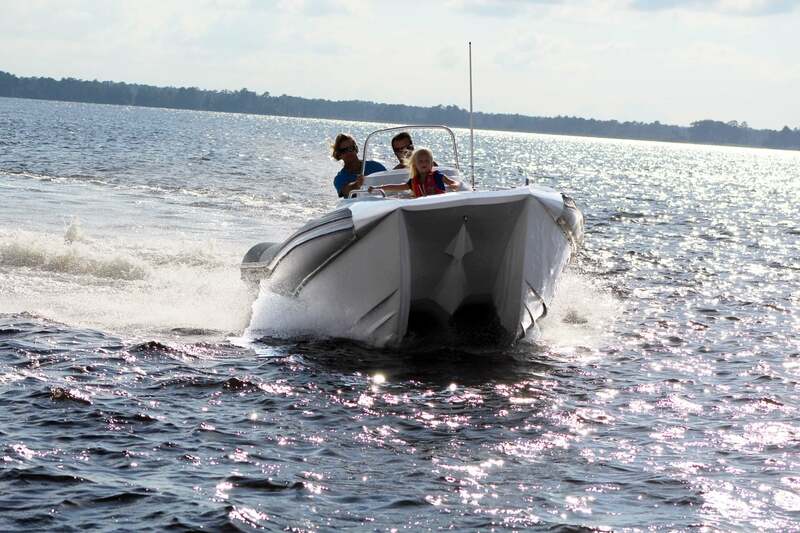 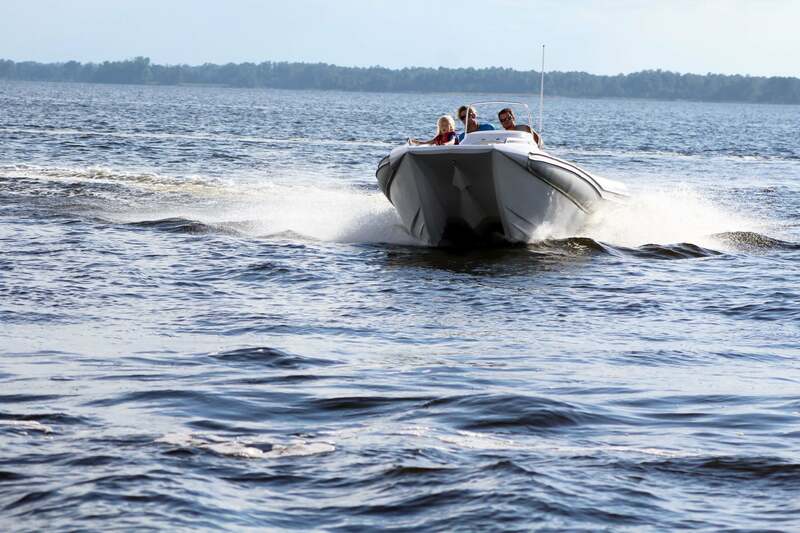 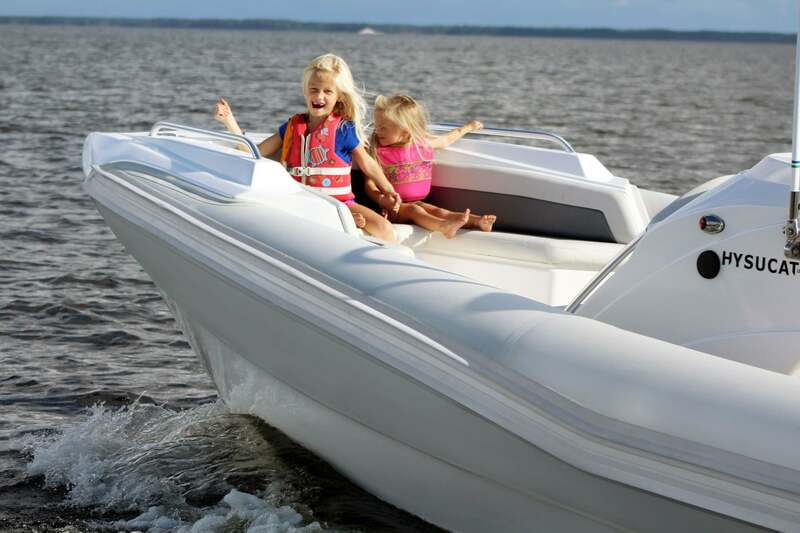 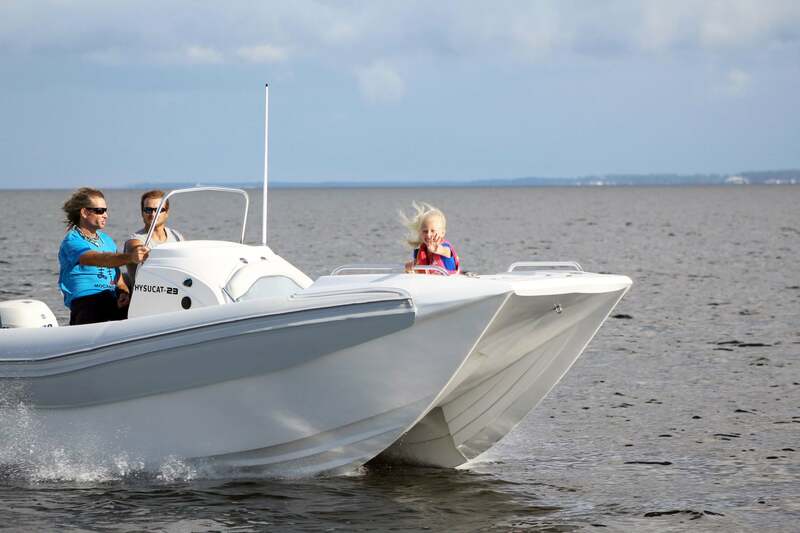 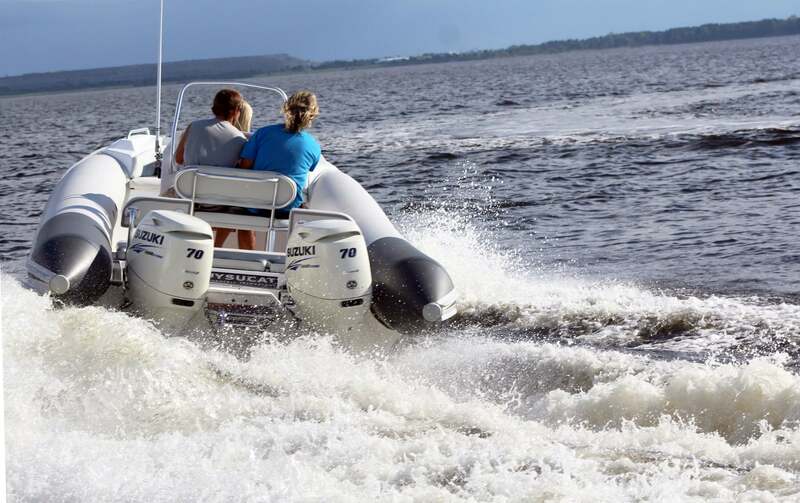 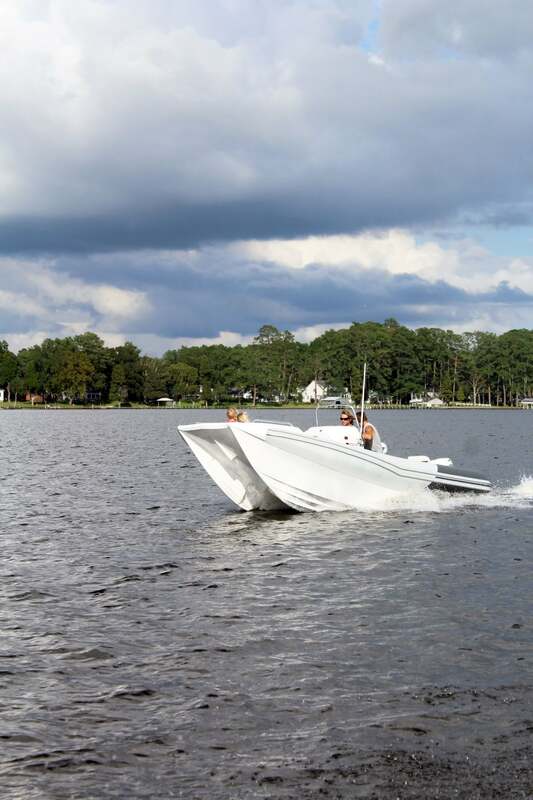 In long waves, the hydrofoils help disperse impact and create a smooth ride. 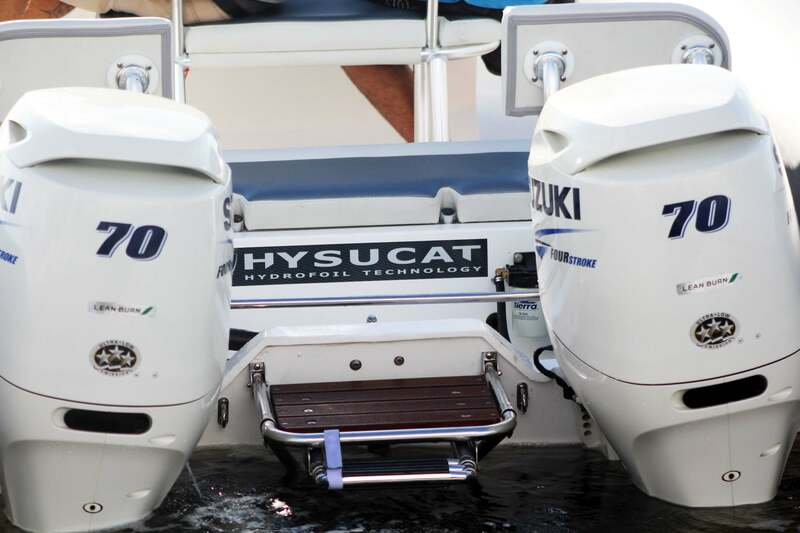 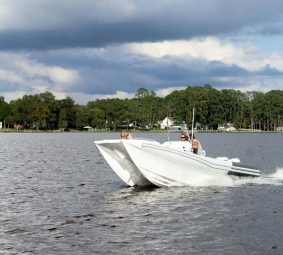 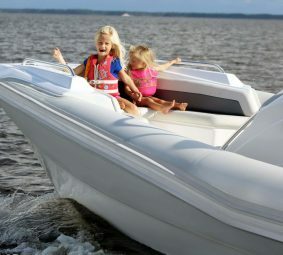 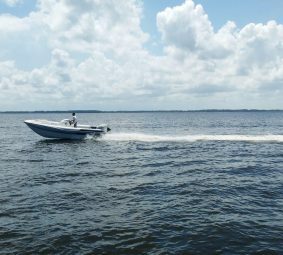 The lifting and damping effect of the hydrofoils also result in low wake for eco-friendly operation. 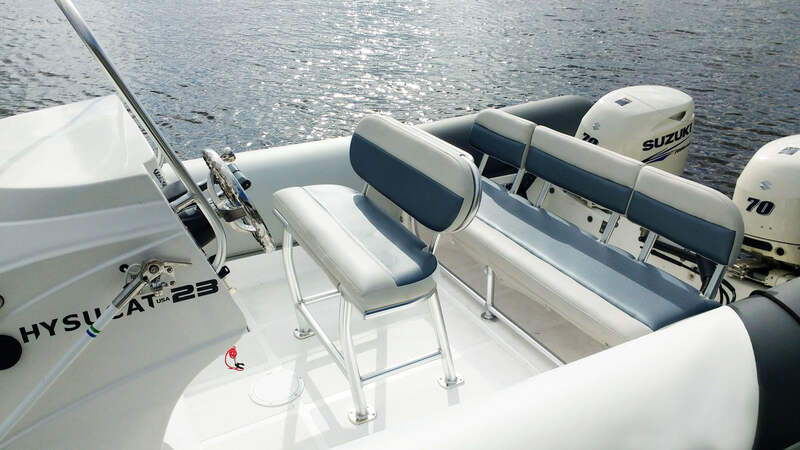 The foils do no impair handling or create directional-instability/broaching problems. 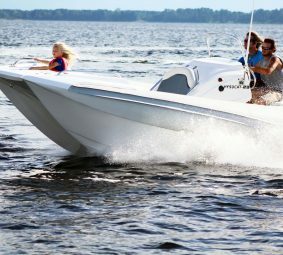 Tight turns can be performed in waves without any form of instability.